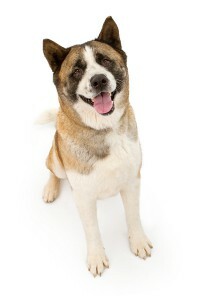 The cry for banning certain breeds of dogs is often a knee jerk reaction to a specific incident. The drums are beating again in Texas for breed specific legislation based on the tragic death of a young boy, Justin Clinton. Justin was killed by two dogs on June 15, 2009 near Kilgore, Texas (Rusk County). The civil trial resulted in a large verdict in September of 2010. The case was tried by plaintiff’s personal injury lawyer, Cynthia Kent, and her husband who is also an attorney. Kent is a former state court judge. The dogs, an American Bulldog and a mixed breed, were owned by Ricky and Christi George. The dogs got out of the yard while Justin was on his skateboard. The fence and gate were in a state of disrepair. The Georges were sued civilly for the death and were indicted on charges of criminally negligent homicide. At the civil trial, they were not able to testify fully for fear of jeopardizing themselves in the criminal trial which had not occurred. The criminal charges were dropped in January of 2011. Dog bite related fatalities are exceedingly rare in the United States. Approximately, twenty-five occur in a year for the entire country (figures vary from year to year) despite the number of dogs increasing steadily with more families owning dogs. Regardless, events like the one described above serve as a catalyst for trying to ban certain breeds of dogs. Kent has used this case as a platform to try to get the Texas Legislature to ban the American Pit Bull Terrier and other related breeds. Once again, the breed is getting blamed for an incident not caused by an APBT, and once again dogs are being blamed for what is entirely a human problem. Kent Proposals. Kent has circulated two proposals for sponsorship by one or more Texas legislators. One proposal would ban the breeds altogether and make owning one a third degree felony. A third degree felony has a punishment of up to ten years in prison. If a possessor fails to meet any of these requirements it is a third degree felony. It is important to be proactive in the defeat of any such proposed legislation ever becoming law. This is not a time to sit idle with the hopes that these bills will not get sponsors or will ever pass. Regarding the proposed legislation, State Representative Leo Berman (Republican–Tyler) stated: “I want something that would require total security of any animal that is known to attack human beings.” (Tyler Morning Telegraph, February 3, 2011). Now is the time to get ahead of this legislation. As the legislative session progresses, you will be called upon to write and call your legislators. If there are any hearings in the House or Senate committee meetings, there will also be a plea to come to Austin to testify. Right now, we need to fund our lobbyists on the ground in Austin who can take the true message about our dogs to the legislators. Success is a collaborative effort and all of these forces are needed to defeat any laws that would curtail our rights as owners of these dogs whether the laws target certain breeds by name or by weight or by any other means. Donations are needed to fund our lobbyists in Austin and for costs associated with preparing legal briefs for the legislators. 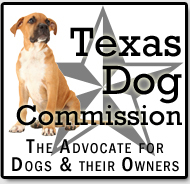 The Texas Dog Commission does not have a paid staff and is dedicated solely to the promotion of fair laws for all dogs. Please, donate whatever you can. Every cent will go to protect our dogs and our rights as owners. Permission granted to use information above with credit given to the author. This entry was posted in 2011 Legislative Session, BSL. Bookmark the permalink.